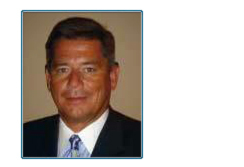 Michael Ogrizovich is the President of Esmark Steel Group and Executive Vice President of Esmark, Inc., with responsibility for all steel procurement and mill relations. A steel industry veteran with more than 30 years of diversified experience, Mike is also a co-founder of Esmark, Inc. and a member of the board of directors of Esmark’s Ohio Coatings Company’s joint venture subsidiary. Mike joined ESG in 2003 and has helped lead the steel group’s impressive organic and acquisition growth. Prior to joining Esmark Steel Group, Mike was a District Manager at Arcelor (now Arcelor Mittal), where he helped develop and grow the company’s steel trading operations. He began his career at Inland Steel in 1981 as a management trainee in Primary Production Operations, and was subsequently promoted through several positions in the company’s Blast Furnace Operations division. In 1988, Mike joined Inland Steel’s Sales and Marketing organization, holding a series of senior sales and management positions. In 1995, he joined Beta Steel in Portage, Indiana, as Manager of Sales and Marketing and held that position until he joined Arcelor in 1998. Mike holds a Bachelor of Science degree from the Kelly School of Business at Indiana University and an MBA from Loyola University in Chicago.